Coping with the incarceration of a loved one can be overwhelming. Where do you turn for help? These resources will help you know what to expect after someone you care about has been arrested, and how to cope before, during, and after their sentence. By quadrupling the number of people behind bars in two decades, the United States has become the world leader in incarceration. Much has been written on the men who make up the vast majority of the nation’s two million inmates. But what of the women they leave behind? Doing Time Together vividly details the ways that prisons shape and infiltrate the lives of women with husbands, fiancés, and boyfriends on the inside. The author’s life was devastated when her husband was arrested for a federal tax crime and given a fifteen-year sentence. During the six years he served, she learned about the prison system, which she tells about in this book. Edenfield reads the painful events of those years in a factual way, distancing herself from the emotional pain of being left to raise four young children on little income. This stoicism requires listeners to engage their imaginations to envision what her life must have been like. There are over 2 million American citizens incarcerated in this country. Many of those people have family members or other loved ones on the outside. All of them have been adversely affected by the incarceration of the loved ones to various degrees. And those loved ones can be a tremendous help and resource for the ex-offender when he/she finally gets out of prison. This book is for anyone who is affected by the imprisonment, past or present, of a loved one and wants to do something to help. 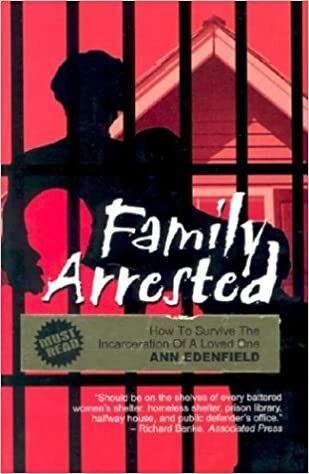 The hundreds of thousands of wives and partners of current, former, and future inmates; families, friends and loved ones of current, former, and future inmates; criminal justice professionals; and anyone interested in the corrections system and/or the betterment of society… all will find this book indispensable. 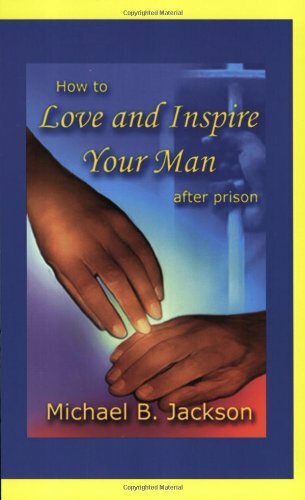 How to Love and Inspire Your Man After Prison is a guide for women looking to help men in and after prison. It is a potentially life-changing or life-saving manual with powerful insights, practical advice and energizing inspiration. Six months after their marriage, Monique Pettaway-Ray’s her husband was convicted for murder and sentenced to life in prison without parole. A vital part of her life was ripped from her-and Monique didn’t know how to cope. Deeply honest and heartfelt, Incarcerated but Free shares how Monique broke the bars of her mental prison, forged an incredible faith in the Lord, and embarked on a path to help families of incarcerated individuals find hope and healing. Prison is a strange land, a land of deep heartache and sadness. Over two million people are serving prison time in America. Millions more are carrying the mark of prison as those who were formerly incarcerated, including large numbers of men and women who have been released on parole. In the midst of such human misery, when “loosened tongues” are freed to sing of God’s redemptive love, grief is diminished and the prison loses its power. Harper set out to address the specific needs of inmates. Harper’s powerful message from the heart provides advice and inspiration in the face of despair along with encouraging words for restoring a sense of self-worth. Uplifting and insightful, Letters to an Incarcerated Brotherprovides the hope and inspiration inmates and their families need. 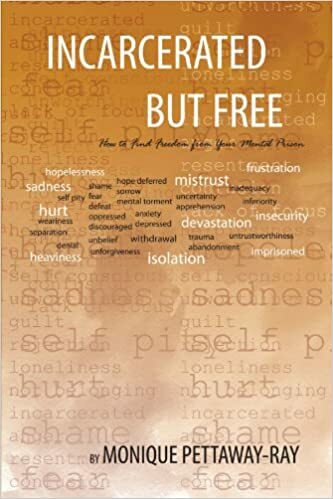 This second booklet in the Institute for Prison Ministries Library by Lennie Spitale is designed to help individuals and families with the second phase of the incarceration journey-sentencing and what follows. It is designed to help family and friends protect and build the relationships they have with their loved ones in prison. This book was written to help anyone who is preparing to go to prison with the possibilities, expectations, and realities of their situation from the strain it will put on a marriage, to the conversations you will need to have with your children. After interviewing more than 100 past and present inmates along with their families, this book provides a complete perspective into how people respond to the prospect and reality of incarceration, and what you can do to prepare for those realities. Arrested is the only guide to supporting family members facing criminal charges. It explains how to make decisions that are in the best interests of the entire family—not just the defendant—and provides checklists of what things to do, and in what order. Form letters called “jail mail” are included to help readers quickly send important information to inmates. Author Max Lucado joins readers on a journey to the very heart of biblical prayer, offering hope for doubts and confidence even for prayer wimps. Distilling prayers in the Bible down to one pocket-sized prayer, Max reminds readers that prayer is not a privilege for the pious nor the art of a chosen few. Prayer is simply a heartfelt conversation between God and his child. Let the conversation begin. Loneliness touches everyone, whether they are young or old, rich or poor. It can be one of the most painful experiences of life. There is a friend-shaped hole in all of our lives, Trevor Hudson writes. People long for relationship with others, but what may surprise them is that God actually longs to be friends with them. Having a close friendship with God is the only thing that will ultimately bring joy and happiness and ease the ache of loneliness. Chicken Soup for the Soul: Finding My Faith is filled with inspiring stories about the number of ways people discover, or rediscover, their faith—whether it’s Christian or Jewish. The inspirational and powerful stories will touch the hearts and souls of readers. This book emphasizes triumph in the face of overwhelming odds. A timeless testament to the indomitable human spirit, this collection is sure to encourage, support, comfort and, most of all, inspire all readers for years to come. Thousands have experienced the spiritual rewards of daily reading these inspiring Scripture selections. Each morning and evening devotional is designed around a biblical theme, giving you new insights into powerful spiritual truths. As you read Daily Light on the Daily Path, you will find fresh insight into the promises of God, experience triumph in every circumstance, discover new purpose for your life, uncover deep truths of the Bible, acquire newfound wisdom, and build your faith. 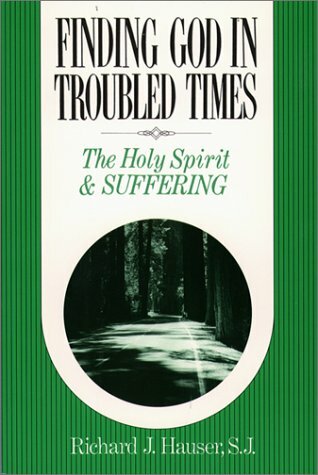 A practical manual to help mature Christians handle suffering the way Jesus and Paul handled theirs, by relying on strength from the Spirit’s presence. Providing the tools you need to find and hold onto the love of your life. Dr. Luskin delivers a proven seven-step program for creating and maintaining loving and lasting relationships, teaching easy-to-learn forgiveness skills that will not only resolve immediate conflicts but improve the overall happiness and longevity of your relationships. Simply put: people in healthy relationships figure out how to forgive their partners for being themselves. They do so because it is nearly impossible to change other people and because none of us are perfect. Until people have an attitude change about money, it will continue to control and confuse them. How to Manage Your Money is an excellent tool to get readers on track toward a liberated financial life. This newly repackaged bestseller contains updated material and a step-by-step, in-depth study of God’s principles for money management. Grace Thornton challenges readers to find their calling and purpose from God and go after it with completely committed hearts. Have you been waiting for life to turn out the way you expected? Grace decided to let go of her expectations of the way life “should be” and grasp God’s hand for the adventure He had for her. You can too. You already know that God calls you to forgive others. But, even as a believer, forgiving someone who hurt us can be a hard thing to do. Enjoy having an easy-to-understand and pocketbook overview of key Bible stories on forgiveness, and discover over 7 practical ways to let go of anger and un-forgiveness. It avoids “easier-said-than-done” suggestions and instead shares practical ways to forgive the seemingly unforgivable. Drawing on his insightful sermon series, renowned pastor/teacher David Jeremiah shares the comfort and hope of the Psalms and how these truths can guide believers through life’s greatest challenges. He includes inspiring real-life stories of people who have struggled with terminal illness, the loss of a child, or the imprisonment of a spouse. Jeremiah interweaves his own journal entries, revealing his battle with cancer and how the Psalms helped to sustain him during the fight of his life.